Hello everyone! First things first, you have just 22 hours left to participate in the Let’s Get Trendy Now! 3 workshop!! Deets HERE. 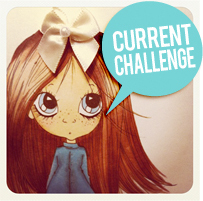 I thought I’d play along this week’s CASE Study challenge, Lisa’s card will totally get your creative juices flowing! Mine went through the roof I tell ya! LOL I feel very “artsy” and wanted to get inky ASAP! This is a local stencil I have had since forever, I love the result it looks super cool! Thanks Lisa for the inspiration! Oh the sentiment is by Verve and it is heat embossed in Gold. Hey you! Very very short post. Running late with this fortnight’s sketchbook challenge. I enjoy Chupa’s sketches so much! Yep, it’s a handmade flower! If you are looking for Lia Stampz: Anything Goes post, click HERE. Yay! Second post of the day! Introducing to you this week’s challenge theme over at Sentimental Sundays, which is “Spray/Mists/Paints”. Our sponsor is Mazys Art. I coloured the image using Faber Castell Classic colour pencils, added glossy accents on the flowers. The butterflies also have glossy accents. You can see it more clearly in the following pic, though the glossy accents on the roses isn't showing. 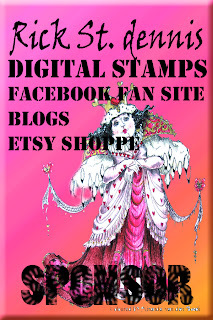 Please stop by the Sentimental Sundays blog to check out what other members of the DT have created! REMINDER: Let’s Get Trendy Now! 3 workshop post HERE – take part, learn, win prizes! It’s time for the ever so favourite Anything Goes challenge over at Lia Stampz! Head on over to the blog to read the rules and take in all the inspiration! Here is my card. I coloured the image “Toy Plane” using Faber Castell Classic colour pencils, added clouds behind it to make it look like it’s flying. Kept it CAS. Keeping the post short as I am not well. Let’s Get Trendy Now! 3 workshop post HERE – you have a whole month to play along! This image is called Nap Time and I have coloured it using Classic Faber Castell colour pencils. I used the SSS exclusive die “You” + stamp and went over it with glossy accents to make it pop. The metal element on my card are the brads. REMINDER: Don’t forget to visit my post for Let’s Get Trendy Now! 3, for the five hottest trends and prizes! Hiya everyone! I thought I’d play along Chupa’s this week’s sketch, I made a card for last challenge as well but never got around to post it. I don’t usually use a lot of pattern paper on one card so this is a very different style for me, but I absolutely LOVED the sketch.. obviously because of the many layers. I hope you will like it! Hello everyone and welcome to day 3 of Let’s Get Trendy Now! 3 Workshop! Our trend today is Textured Layers. I have something fun to show you today, my regular readers would know that I love texture and I have been itching to make faux mixed media kinda cards… I have done that once in the past but this time I added layers of diecuts (same colour, to add more depth). Eekk! all that gooey, inky mess! I love it! LOL You can use gesso or artist grade texture paste to achieve this look. Here is a close shot of the gorgeous mess. The shine comes from clear embossing powder, it gives a very finished look and also adds depth to the colour. I am one of those people who look around the house for stuff to use as “craft supplies”. You can add added texture by using seeds, crushed dried mint leaves (adds a wonderful smell too) ANYTHING! And don’t worry about the ants, once you heat set everything… they wont be attracted to your almost edible project LOL, well no its not edible! Another way to add texture is by layering die cuts on top of another, in this card I have used four layers of dies. I have one more thing to share with you… a made another series and it fits perfectly with our trend today! Well I hope you enjoyed the post, creative juices flowing and all plus I hope you have hit a light bulb moment! I would love to see what you guys come up with! If you have any other questions to ask, ask away! Hey everyone! I hope you guys are checking out and playing along at the Let’s Get Trendy Now! workshop. If you have not checked it out, you MUST!! A lot of crafters are sharing awesome tips and latest trends. I thought I’d play along with the CAS(E) This Sketch. Trust me when I say that I had to stop myself from adding stuff on the top half of the card! The white space was bothering me so much! I am absolutely not a “true” CAS card maker so this is an achievement. Leave a little love and I will stop by your blogs! Do not forget to stop by the Let’s Get Trendy Now blog! Workshop is from 2nd to 7th June! I will be entering this over at SSS challenge as well. Hey you! It’s Sunday and that makes it time for a new challenge over at Sentimental Sundays but first I have to remind you of the Let’s Get Trendy Now! 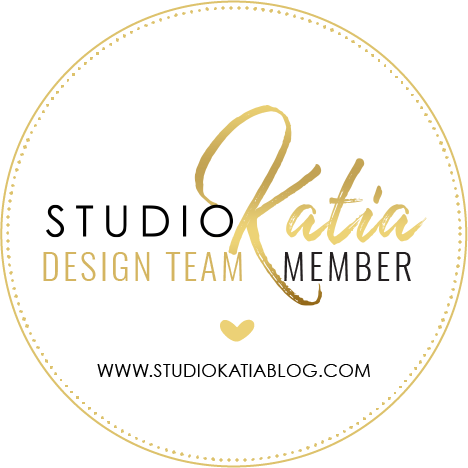 3 free workshop which starts from June 3rd to 7th, there are super fun themes for you and lots of talented crafters teaching you stuff (I am so honoured to be part of this team). To sign up and for details, please visit THIS post. Isn’t it a beautiful colour palette?! Here is my card using DJ Luv by Saturated Canary, our sponsor this week. This rocking image has been coloured with classic Faber Castell colour pencils. I tried to keep it as CAS as I can. Hope you like it! Please stop by Sentimental Sundays to check out the challenge details. I will be entering this card at SSS challenge (anything goes) and Saturated Canary challenge (different hair).